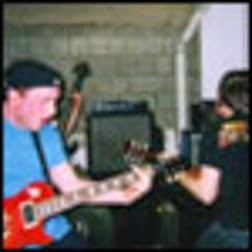 Coming from Albany NY , and active 2001-2003, A Bullet for the Family Traitor play a very metal-core influenced style, with have female vocals as well. I would say they're not so bad, in that early metal-core type of way. They definitely have elements that make them appropriate to be posted here though. Anyway this ep is all they've released, so here you go.